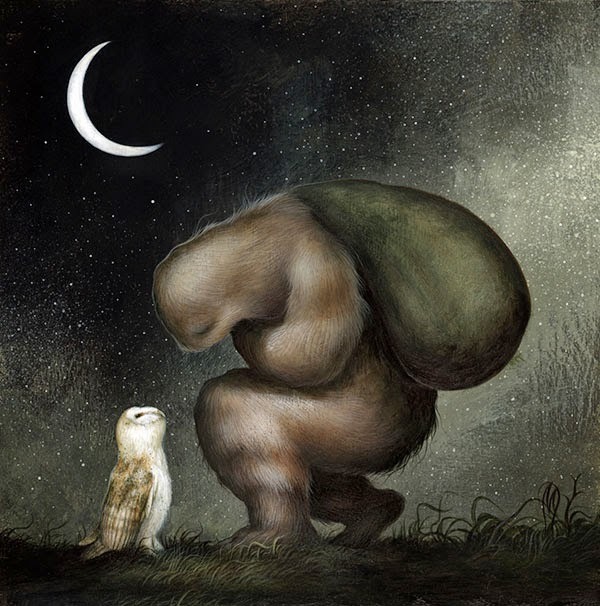 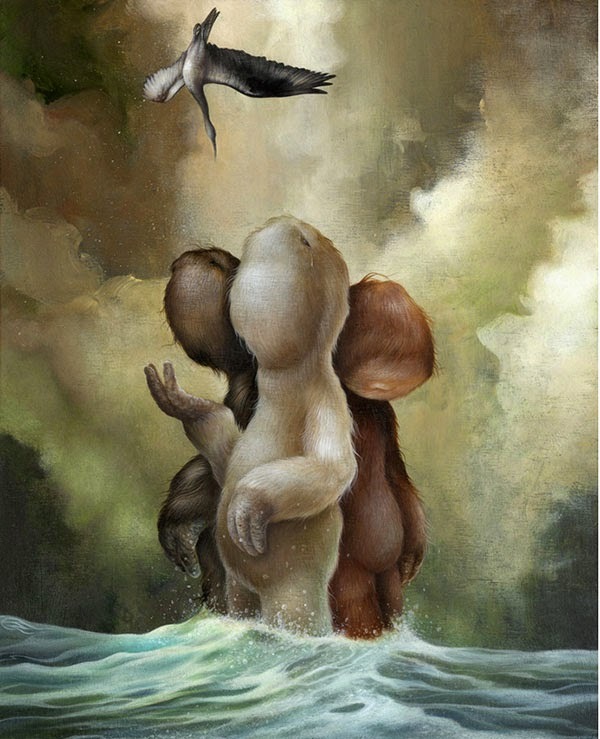 Surreal and mysterious paintings filled with gentle creatures interacting with humans and other wild life around them. 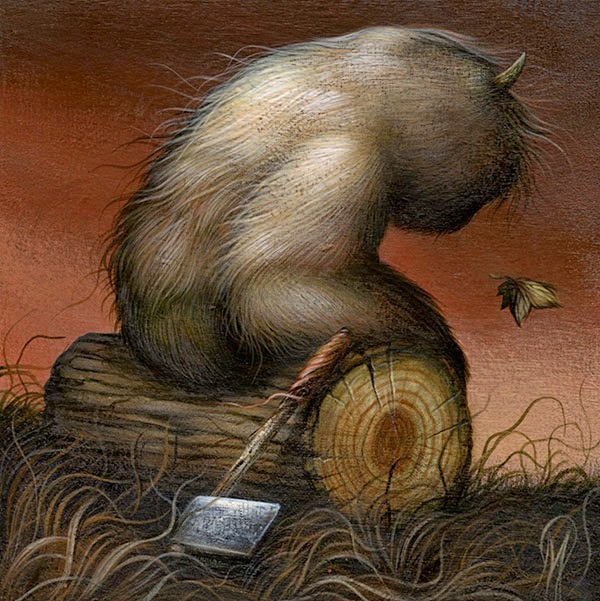 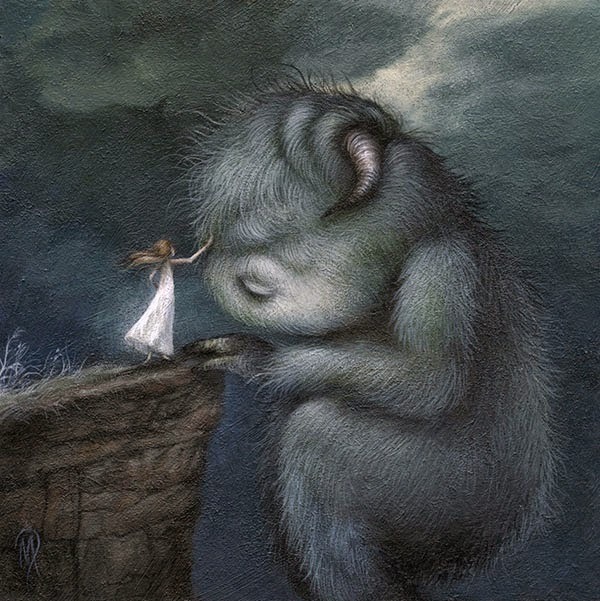 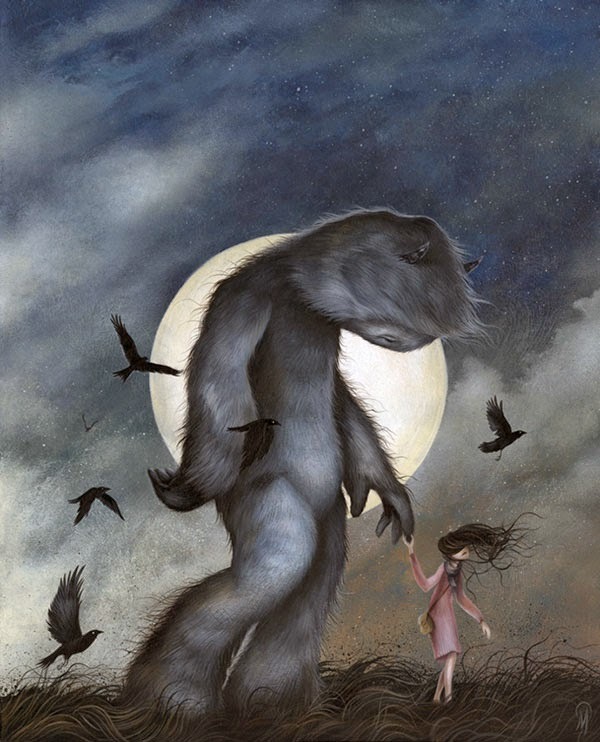 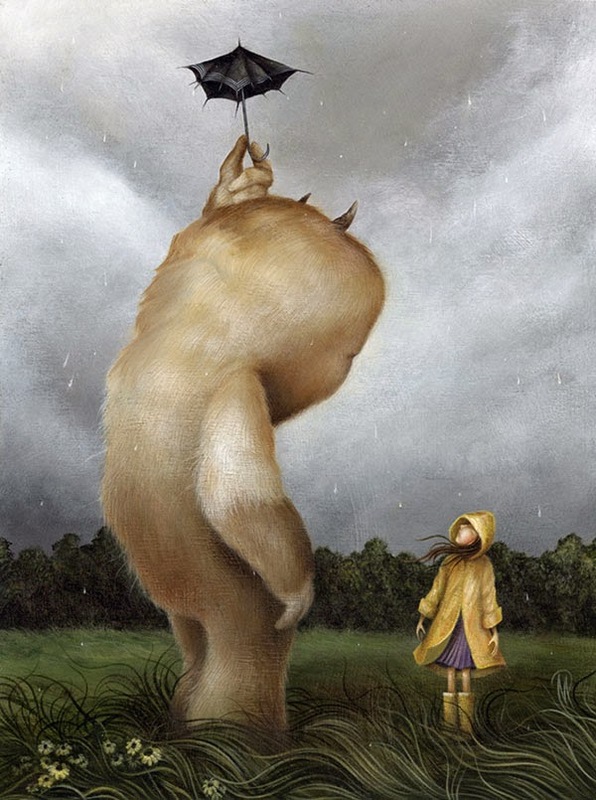 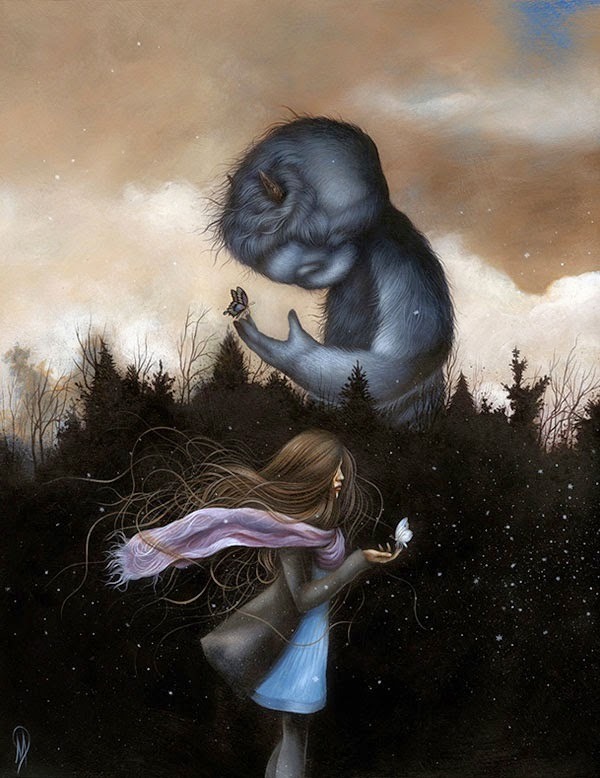 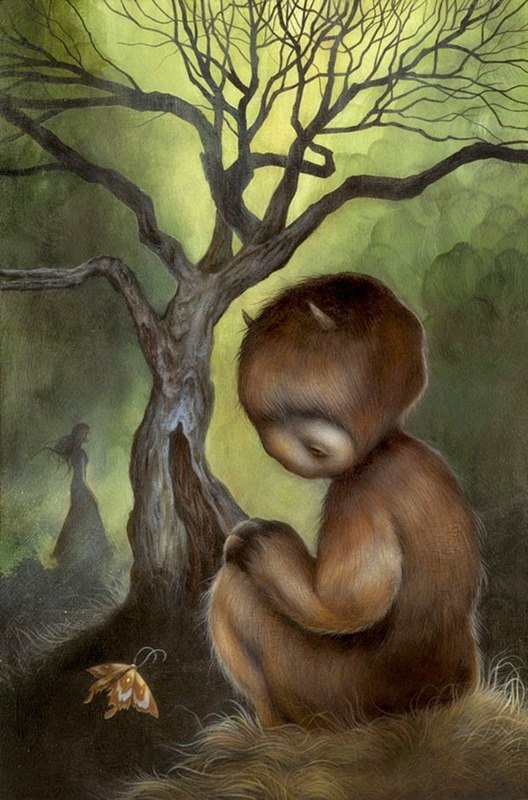 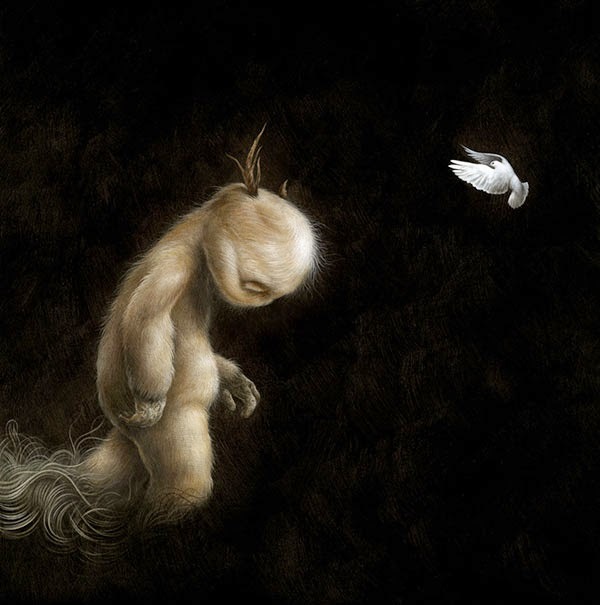 The works remind me of the illustrations of Maurice Sendak for his children's picture book Where the Wild Things Are. 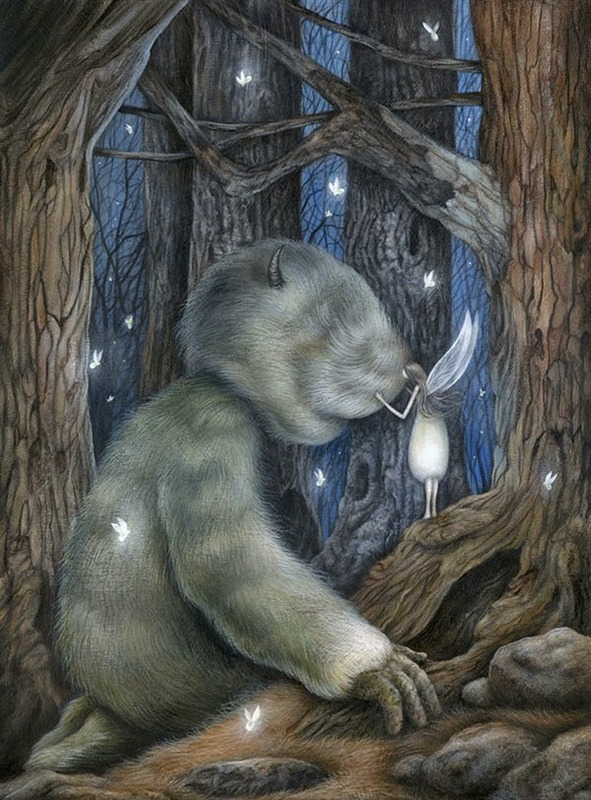 Dan's detail-intensive and imagination-driven works have become widely recognized for their ability to transcend the natural states of space and time.